To secure your place, you can book online. 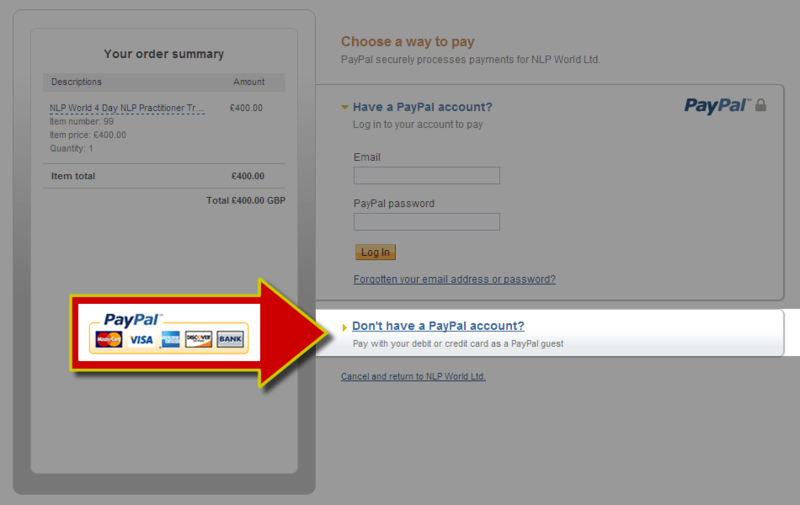 Click the “Add To Basket” button to begin your Seven Day NLP Practitioner Training Registration. The starting cost of the Seven Day NLP Practitioner Training is £850 (WAS £2050). This price is for the first eight people booked, for the next four it’s £950, after twelve reservations it’s £1050 and after 16 it’s £1250, then after 18 £1620 then up to £2050 after 20. This is assisting those who put things off! If you are thinking about it, get in touch to answer your questions, then book! This Seven Day course is fully certified and accredited by the ANLP (Association of Neuro Linguistic programming) & AIP (Association for Integrative Psychology). You can also gain CPD points from attending. Deposit & Registration Fee £300: The deposit also gets you your pre-study course audio materials plus manual. Please Note: The remaining balance to pay is due the day before you start your training. If you’re now ready to book your Seven Day NLP Practitioner Training Course, you can click on the “Book Now” button to start the registration process. Alternatively, you can also talk to someone and get a call back for your Seven Day NLP Practitioner Training registration by calling us on: 0844 057 0392 (UK).